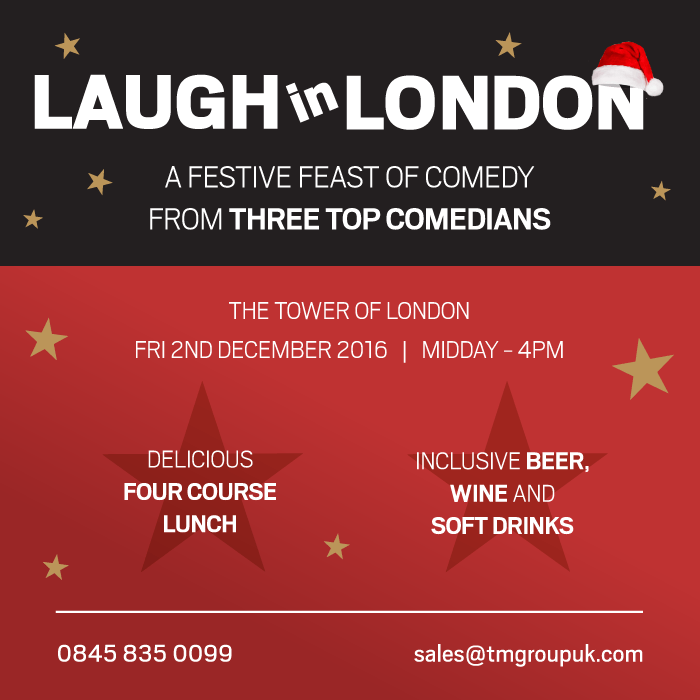 Laugh in London will be at our venue The Pavilion at the Tower of London this December, for an exclusive comedy lunch with three of the biggest names in comedy. Now in its seventh year, the event includes a festive feast in the company of your colleagues, with superb comedy at one of our most prestigious Christmas venues. Table packages for ten are now available. 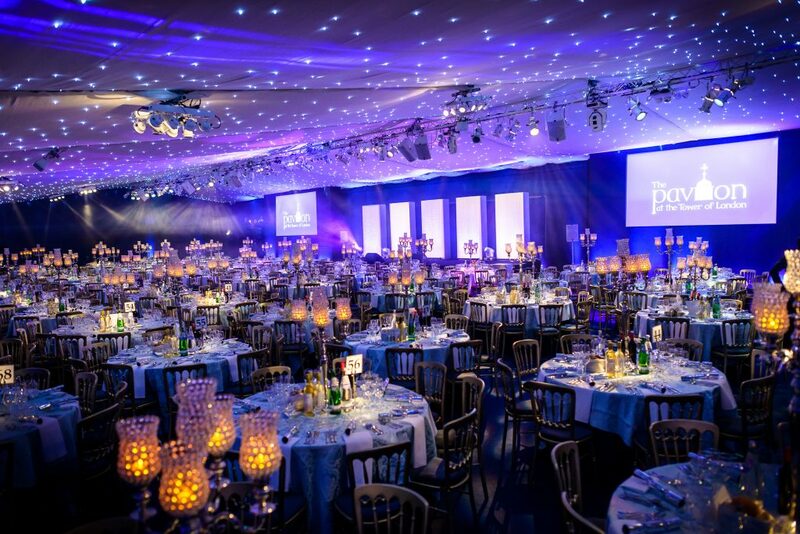 The price of £1950+VAT includes a four-course Christmas lunch and your company logo in the event programme. For more information email sales@tmgroupuk.com or call +44 (0)845 835 0099.